Cary Audio will proudly be showing several new products at the 2015 CES Show (Venetian Towers suite 35-209). For CES 2015 they have developed a new analog tube preamplifier displaying all the hallmarks of the company's tube preamplifier sound in the likes of their SLP-98 and SLP-05. This fully balanced tube line-stage design is called the TL-300d and utilizes four 12AX7 and two 12AU7. As the 'd' suffix eludes to, it incorporates a 32-bit/384kHz digital section that also plays native DSD64/128/256 signals. There is no PCM conversion of DSD as four DAC chips consisting of eight independent channels of processing take care of Digital-to-analog conversion. There are five digital inputs including asynchronous USB, CSR aptX Bluetooth, two S/PDIF coaxial, optical TosLink, and XLR AES/EBU. For digital only sources, Cary Audio will have their DMC-600, DMC-600SE (pictured) and the DAC-200ts. The DMC-600 and DMC-600SE Digital Music Centers are state-of-the-art DACs with the same processing and input complement as the TL-300d, but adds a CD transport. The DMC-600SE adds premium quality parts in the analog output stages. These parts include Jensen Capacitors, Elna Capacitors, and Dale resistors. For those not concerned with CD transport duties, Cary Audio's DAC-200ts offers the same capabilities minus the CD transport. The DMC-600, DMC-600SE, and DAC-200ts also draw from Cary Audio's vacuum tube lineage, utilizing both vacuum tube and solid-state analog circuits with switchable DiO dual independent outputs. This essentially creates two units in one, allowing the user to tailor the sound based on source material for maximum flexibility. With a full 3V variable volume output. Cary Audio's DMC-600, DMC-600SE, and DAC-200ts can also be used as a digital preamplifier for connecting directly to an amplifier. Other features include selectable TruBit upsampling sample rate converter, fi Bluetooth implantation, OSO reclocking, and Multiple Parallel DAC Topology. For the third consecutive year, Cary Audio will be partnering with Tannoy Loudspeakers and WireWorld Cables. Loudspeaker Technology Ltd's ATC brand is soon going to be selling their SCM40A active loudspeaker system ($11,999 per pair). As the active version of their SCM40 three-way floorstander launched in late 2013, ATC's SCM40A utilizes their soft dome dual-suspension SH25-76 tweeter together with their signature 75mm soft dome midrange plus 164mm short coil/long gap (under-hung) bass driver. The drivers are powered individually by a proprietary ATC tri-amplifier pack, upgraded from the version employed by ATC's Pro SCMA 25 monitor. Housed in a modern curved, laminated cabinet, the SCM40A is the first of the multi-award-winning 'Passive Series' speakers to be made active. As for the tweeter, it shares technology with the renowned ATC soft-dome midrange driver. This new tweeter employs a unique dual suspension system that is said to suppress rocking modes even at high power output levels. The ATC configuration of a short edge-wound voice coil in a long, narrow magnetic gap ensures low distortion throughout its operating band and removes the need for assisted heat dissipation Ferro fluids, which can dry out over time and thus compromise performance. The tweeter's 15,000 gauss (1.5 Telsa) neodymium magnet has a black heat-treated top plate, which dissipates heat away from the voice coil to maintain high power handling and low power compression. A precision-machined 5.5mm rigid alloy waveguide provides optimum dispersion, a flat on-axis frequency response and resonance-free operation. ATC's iconic 75mm midrange dome is the company's latest version of the SM 75-150 and uses a hand-doped acrylic diaphragm and dual suspension system. ATC's SCM40A 164mm bass driver utilizes a hand-coated carbon-paper diaphragm driven by an under-hung (short coil/long gap) motor and optimized magnet assembly. ATC's SCM40A has an on-board discrete MOSFET Class AB three-channel amplifier utilizing ATC's Grounded Source output stage that delivers 25W to the HF driver, 60W to mid and 150W to the bass driver for a total of 235 Watts continuous power. The crossovers are all active, 4th order modified Butterworth with phase compensation circuitry for each crossover point. Active crossovers have the advantage that their response is not modified by a loudspeaker's variable voice coil impedance and the phase compensation enables phase coherency at the crossover points. 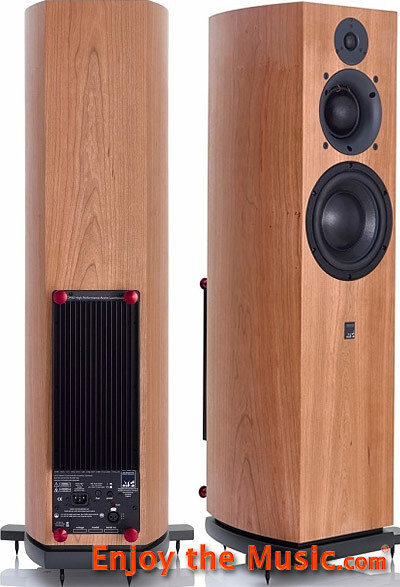 The SCM40A benefits acoustically and aesthetically from a curved cabinet construction, which is internally braced and outside laminated for high rigidity/damping and finished in real cherry or black ash veneer. Of note is that the ATC SCM40A is designed for optimum performance with the anthracite grey metal grille � although the difference in performance without the grill is minimal according to the company. Each pair of ATC SCM40A are matched to within 0.5dB and have a frequency response from 48Hz to 22kHz with a dispersion of �80� coherent horizontal and �10� coherent vertical. Connection is via balanced XLR that has an input sensitivity of 1V. Cabinet dimensions are 980 x 370 x 344mm (HxWxD). Theoretica Applied Physics in concert with Princeton University's BACCH 3D / BACCH-SP (SP stands for Stereo Purifier, and was previously called Pure Stereo 3D Audio), will allow you to hear what the future of audio can be. This just may be one of the most ear-opening high-end audio demos at CES 2015 that allows music lovers to hear binaural audio taken to the next level. David Chesky of Chesky Records and HDtracks fame will also be there in conjunction with Professor Edgar Choueiri, who is Director of Princeton University's Engineering Physics Program and the Director of Princeton's 3D Audio and Applied Acoustics Lab to help demonstrate this new technology. Chesky Records' Binaural+ Series recordings sound great on headphones and loudspeakers, yet with the futuristic BACCH 3D Sound high-end demo they are setting up at CES 2015 to provide "a quantum leap in 'being there' realism: Our Binaural+ recording sessions will be recreated, from just two loudspeakers, fully and faithfully in 3D space". The press release goes on to say "For the entire stereo era of sound reproduction we have been recording and reproducing audio that is severely limited by loudspeaker crosstalk, which corrupts the localization cues humans need to place sound in 3D, and thus limits the entire reproduced audio image, unrealistically, to a small and mostly flat region between the stereo loudspeakers. This problem has not only severely limited the realism of audio playback for more than 60 years but also corrupted our audio aesthetic. We have learned to live with it, but it is exactly like watching a 3D movie without the 3D glasses. BACCH 3D Sound, created at Princeton University, eliminates this corruption and is the first system ever to do crosstalk cancellation without even slightly affecting the tonal properties of the music. With quick calibration for the individual listener's ears and with head tracking, the experience of listening to a seamless 3D image is simply magical. I guarantee you that the improvement you will hear is the least subtle improvement in audio. The first device that you will be able to hear this with is the BACCH Stereo Purifier (BACCH-SP) processor, which will be at the heart of our CES demo. The BACCH-SP, a revolutionary high-resolution digital processor developed by Theoretica Applied Physics, purifies the stereo signal from crosstalk and other artifacts to produce a highly realistic 3D image through a pair of loudspeakers. In particular, our Binaural+ recordings are reproduced with uncanny realism in a truly 3D soundstage that is a faithful spatial and tonal reproduction of the original sound field. We believe that this is the audiophile technology of the future and it is now ready for your ears." 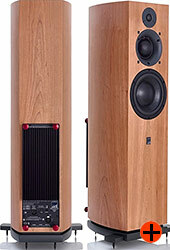 During CES 2015 Wharfedale's new Diamond 200 Series loudspeakers will make their United States debut (Venetian Towers suite 29-124). These are the company's sonic overachievers that continue the Diamond Series' 32-year tradition of delivering excellent performance at affordable prices. The new Diamond 200 stereo and home theater loudspeakers and subwoofers incorporate significant upgrades from the previous, highly acclaimed Diamond 10 Series. Diamond 200 Series enclosures make use of Wharfedale's layered cabinet construction that provides significant sonic benefits. The improved woofers and midrange drivers feature woven Kevlar cones to deliver superb clarity. 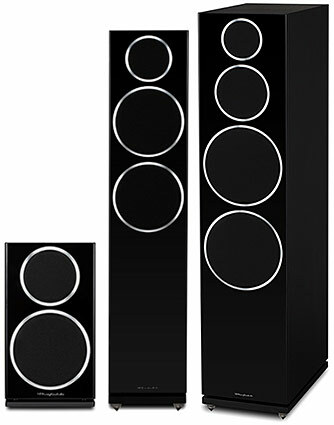 The speakers also employ a unique slot-loaded port design, making speaker placement very flexible for great sound even near room boundaries. They've also been given a fresh new look with modern fit and finish. Wharfedale's top line Diamond 250 is a three-way floorstander with two 200mm woven Kevlar cone woofers, a 130mm woven Kevlar cone midrange and a 25mm soft dome tweeter. Sensitivity is 89dB/W/m and they present a 6 Ohm load to the amplifier, with a minimum impedance of 3.1 Ohms. Frequency response is from 35 Hz to 20 kHz and the crossover frequencies are 350 Hz and 2.5 kHz. Each Wharfedale Diamond 250 weighs in at a hefty 64 lbs. The Diamond 200 Series' appearance has been upgraded with a clean, minimalist design. The choice of four elegant finishes offers a room-friendly design for any home environment. Wharfedale�s recently introduced Jade high-end subwoofers and Jade 3 loudspeakers will also be on exhibit in the Sound Solutions / Mobile Fidelity Sound Lab room (Venetian suite 29-120) as part of a system with AVID HiFi turntables and electronics, Balanced Audio Technology high-end audio components and Solidsteel's new S3 and S5 entertainment racks. Streamz is about to showcase the world's first Android-based smart headphones that handle 96kHz/24-bit audio, Wi-Fi, aptX and more. Streamz are the first headphones that are able to store and autonomously play 96kHz/24-bit HD quality, standard Red Book CD resolution of 44kHz/16-bit sound quality music and instantly play online streaming music from services including Pandora, Spotify and soon CD quality streaming services including Tidal and Deezer. For first time in history music lovers will be able to listen to high definition music anytime, anywhere, without requiring an external wired DAC, amplifier or music player since it is all built within Streamz headphones. Unlike all versions of Bluetooth including aptX, Wi-Fi does not compress audio nor does it introduce any transmission delays. With its Bluetooth 4.0 wireless interface and an optional Streamz Bluetooth audio transmitter called TRANZ, you can also watch a movie, TV show or play a game in high quality sound. 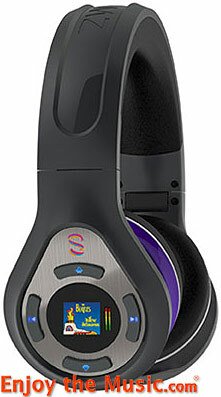 There are several ways to enjoy Streamz headphones. You can using its integrated 128 x 128 color OLED color display and keypad panel or, with the included Android or Apple iOS smartphone Streamz App, you can easily search, browse and play music stored on STREAMZ or music on other devices and from online music service. Streamz plans to offer several new software updates including a Voice Controlling module called VOXXI that will allow users to search and play music plus other system controls with Google voice commands. The company is releasing a Streamz API called MAUI (Media Application User Interface) that will provide Android programmers to develop their own custom Android Apps and music services for Streamz. "The launching of Streamz marks the advent of a new and exciting post-MP3 renaissance in music and hearables" said Douglas Kihm, CEO of Streamz. "True wireless, mobile HD quality music is now a reality. 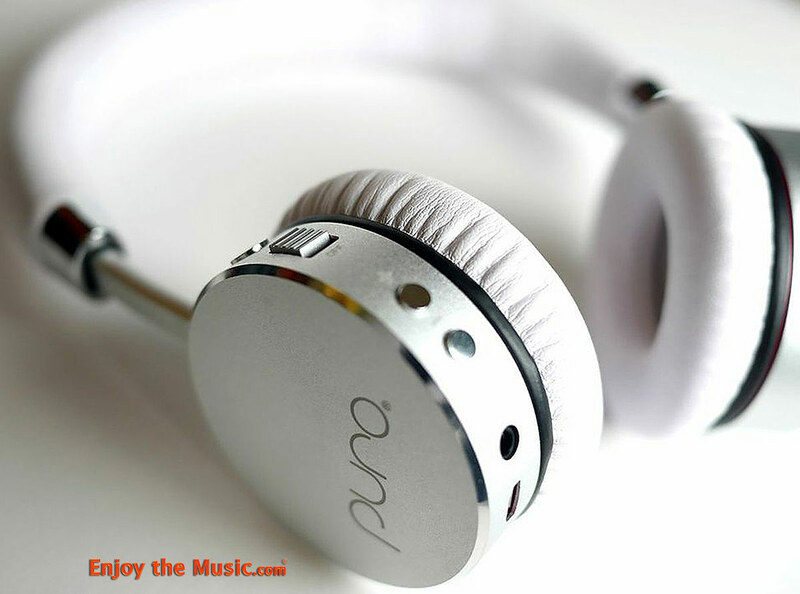 This is the beginning of a whole new way to enjoy music how it was meant to be heard; simple, pure and freely." Streamz headphones feature Android OS with a 1.6GHz quad core processor, 96kHz/24-bit DAC, 36GB of storage and 801.11 B/G/N Wi-Fi. Bluetooth V4.0 wireless includes aptX. The headphones employ a pair of 50mm dynamic speakers and over the ear leather cushions. The headphones are foldable for easy storage and traveling. The internal amplification is aided by easy volume adjustment and EQ control. For voice command there is a built-in microphone. Input includes a 3.5mm stereo jack for those who prefer a hardwired interface. Power is provided by a built-in Lithium Poly rechargeable battery. Are you concerned with your child ruining their hearing due to overexposure to high sound pressure level from headphones? If so, then Puro Sound Labs has announced their hearing-healthy, contemporary designed on-ear and over-ear headphone monitors BT2200 ($79.99). These Bluetooth 'Kid-friendly' headphones have built-in volume optimization created specifically for kids and designed with the health and safety of a child as a priority. The Puro Sound Labs BT2200 have volume limiting ear protection to protects children's ears, while delivering sound in a sturdy headphone product. With hearing health and education in mind, Puro Sound has committed to donating a portion of every sale of all Puro Sound products through 2015 to the Hearing Health Foundation. Hearing Health Foundation is the largest private funder of hearing research, with a mission to prevent and cure hearing loss through groundbreaking research. Puro Sound Labs headphones are designed with a unique frequency response curve called Puro Balanced Response. This is said to recreate the natural sound produced in a perfectly tuned listening room, yet in the headphone listening experience says the company. This helps to maximize the satisfaction of Healthy Ears hearing protection. Great care has gone into the design and materials used in the headphones. A soft and supple cushioning material and durable lightweight aluminum are used to make the headphones comfortable for young ears and to stand up to everyday use. Their design also attenuates over 82% of ambient noise, thus reducing the need for higher volume to overcome ambient noise. Plus, when employing Bluetooth wireless technology, the chance of a child getting tangled or caught on the headphones' cable is reduced. An integrated microphone provides seamless use with a phone and battery life is 18 hours of music playback (200 hours standby). There is a Puro EQ APP for iOS, with Android APP coming soon. Puro Sound Equalizer APP provides 16-band EQ to customize sound to the listener's preferences. The BT220 fold up flat for easy of storage and traveling. "Noise-induced hearing loss is 100% preventable; however prolonged exposure to sounds that are 85 decibels (dB) or above, such as loud music, is often the culprit" said Claire Schultz, CEO, Hearing Health Foundation. "By placing an 85 dB volume limit on their headphones, Puro Sound is taking significant strides towards protecting children's hearing against premature hearing loss. We are excited to work together to achieve the same goal of both educating and providing consumers with hearing-friendly solutions. We are looking forward to their continued support and their ongoing efforts towards our collective cause." BAT (Balanced Audio Technology) will celebrate their 20th anniversary at CES 2015 (Venetian Towers suite 29-122) with the introduction of four new products: the VK-23SE and VK-43SE solid-state stereo preamplifiers and the VK-225 and VK-225SE (pictured) solid-state stereo power amplifiers. The VK-23SE preamplifier ($4995), like all BAT preamps, features fully balanced circuit topology throughout. The VK-23SE utilizes Unistage single-gain-stage, zero-feedback design, an extremely short signal path and more. BAT's VK-43SE ($8995) is the company's new top-of-the-line solid-state preamplifier. It is a dual-monaural design and incorporates the company's Unistage zero-feedback topology and many additional refinements including a massive power supply to deliver "extremely wide dynamic capability". The BAT VK-225 amplifier ($4995) uses a discrete bipolar output transistor design to provide "exceptional clarity and dynamic authority". It delivers 150 Watts per channel power output into 8 Ohms and features audiophile-grade components throughout plus a very short signal path with zero negative feedback. Lastly, BAT will have their flagship REX II vacuum-tube stereo preamplifier and power amplifier plus a host of their ultimate-performance audio components in a complete audio system featuring the AVID HiFi Diva II SP, Sequel SP and Acutus Reference SP turntables, Solidsteel's new S3 and S5 entertainment racks. ---> CES 2105 Preview Part 3.